Early bird R23 000 if paid in full (before 31 March). Thank you for your interest in our world class YogaLife Teacher Training located in the exquisite city of Cape Town, South Africa! You are one step away from embarking on a life changing experience! The YogaLife Teacher Training, led by a dynamic group of senior instructors, is designed to inspire and awaken your inner teacher, kick-start the journey of self-transformation, build relationships and community and produce powerful and dynamic Power and Vinyasa flow yoga instructors. Our 200-hour Yoga Teacher Training consists of a balanced combination of asana and sequencing instruction, mindfulness meditation, Eastern philosophy and psychology and offers plenty of opportunities to practice and learn how to teach. You will study the foundations of the asana practice from alignment, physiology and anatomy perspectives and gain an appreciation for how different bodies embody the physical practice. You will also learn the 5 research based principles of the YogaLife method as they relate to the chakra system and how the yoga and mindfulness practices initiate growth and connection in the mind-body. Further, trainees often report moving through their fear of public speaking, learning how to hold unconditional space for students embarking on the yoga journey and feeling empowered to speak their truths as a result of completing the YogaLife Teacher Training. Lastly and certainly not in the least, the relationships and connections that are built among the trainees and teachers is one of the most powerful and moving aspects of the YogaLife Teacher Training. Whether you’re looking to be a yoga teacher or just want to deepen your practice, the YogaLife Teacher Training is perfect for you. Be prepared to be challenged, move beyond your limitations and discover your unique path to oneness in a nurturing and encouraging environment. Join us! Access to all classes in The YogaLife 200 Hour Yoga Teacher Training (200 hour YA certified). Yoga Alliance is the largest non-profit association representing the yoga community in the world. Their mission is to promote and support the integrity and diversity of the teaching of yoga. The YogaLife 200 hour Teacher Training program is registered with Yoga Alliance and as such, follows their minimum curriculum requirements outlined below. Upon completion of this course, you may register with Yoga Alliance and be listed on their website as a “certified teacher” for a nominal yearly fee. You can find more information at www.yogaalliance.org. YogaLife’s Yoga Teacher Training is a unique experience that has deepened not only my knowledge of yoga, but my knowledge of myself. The training offers a deeply considered framework that allows one to explore the many aspects of their personal yoga practice while equipping them with the necessary tools to teach a well-°©‐rounded yoga class. It has given me insight to the infinite, innate beauty that each of us possess and inspired me continue to learn and transform through my interactions with others. Thanks to the wonderful community at YogaLife, the learning environment is supportive and engaging, and will warmly welcome anyone who is keen to learn more about the transformational experience. This training will challenge you, it will teach you, it will grow you, it will open your mind and your heart to experiences you thought you could never have. I feel well equipped to continue this journey as both a yogi and a teacher. The YogaLife Teacher Training is an integrated and balanced program that you can apply to your entire life. The precious time spent with fellow like-minded individuals and some of your favouriteteachers are priceless. I am forever grateful to this team of humans and the friendships made. Do it. If not now… Then when? I truly feel the YogaLife Teacher Training was a gift to the soul and definitely helped elevate me into a better place in all my relationships, including my relationship with myself. I was extremely nervous to go into my first class, as I felt perhaps I wasn’t strong enough in my practice to be joining, but soon realized that the Teacher Training was not about which challenging postures you could achieve with ease, or at all. Rather, the teachers guided us to reach our own personal best in every aspect of the yoga and mindfulness practices from where we are in our journey so that we can also emulate this compassion and understanding for everyone’s personal journey on their mat, meditation cushion and in life in general. One of my visions for this training was to learn to trust myself fully; not just to trust my body to move into poses I envisioned myself to go into (still a work in progress), but also to trust my intuition and my choices in life. This journey has brought me to a beautiful place of trust. The Yoga Teacher Training was truly a life-changing experience and I’m convinced that I have all the necessary tools to become a great teacher. It’s now up to me to further develop my skills and continue the learning path! As it relates to my personal growth, I feel like I have had my “blinders” removed and now I am able, with mindfulness, to see the world differently and be more considerate of other people’s journeys as it impacts them and not just how my interaction with them impacts me. Although Tanya and I are going to live in Bali for a while, the YogaLife community will always have a special place in my heart. I will be back to visit YogaLife whenever possible and am so excited to continue my growth on this amazing yoga life journey! Thanks guys! 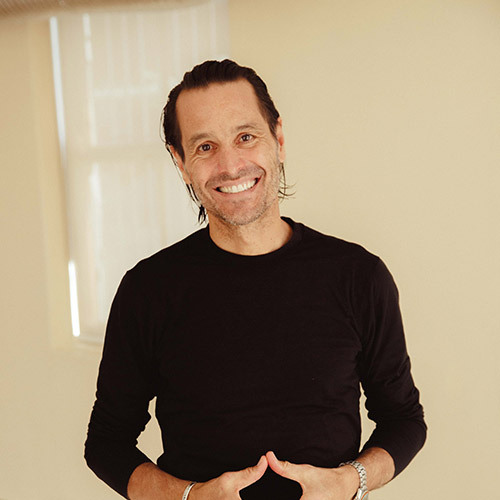 Dave has been teaching yoga since 2000 and leading Teacher Trainings since 2001. He both led and co-led many teacher trainings for CorePower Yoga in the US, and since 2010 has been a part of YogaLife Teacher Trainings in Cape Town. Dave believes firmly in the transformational power of the Teacher Training Journey, and has enjoyed watching hundreds of people transform as both individuals and yoga teachers as they have gone through Teacher Training Programs across the world. Dave knows it will be a really challenging journey for most people, and believes in providing a safe sanctuary where yoga Teacher Trainees can fully embrace their journey and come out the other side more confident individuals in every way, ready to teach yoga if they so choose. 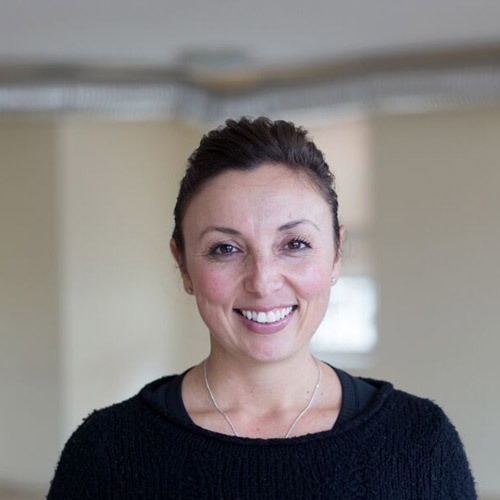 Lauren’s approach to teaching yoga goes beyond the physical aspects of the practice and includes principles from the mindfulness practice, human development and neuroscience. Although the asana practice is a large part of the yoga journey, Lauren believes the physical posture can be used as a vehicle for healing and self-discovery. 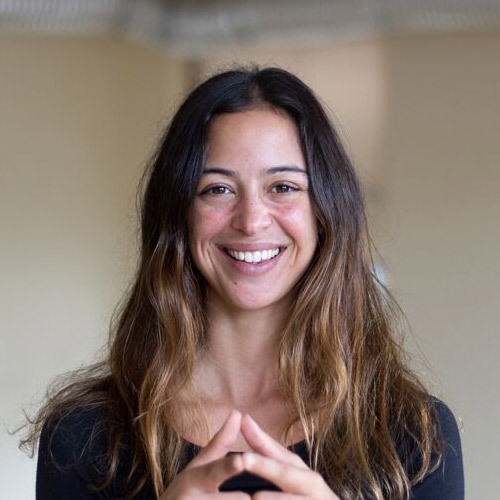 During teacher training, Lauren provides a deeper understanding of why yoga promotes transformation, wellness and connection from a neurobiological perspective as it relates to the chakra system. She holds an unconditional space for students to self-reflect and connect with their own inner teachers during guided meditation practices. Lauren believes that connection to self is essential for experiencing our interconnectedness, and that we become influential teachers when we teach from this place. Chantal is a lover of movement. Her passion is to create movement in the yoga room with purpose and intention. Her goal is to unite the physical, mental and energetic bodies with a strong focus on breath and movement as the vehicle to do so. Chantal links breath, movement and music to bring her classes together, and this is what you can expect to learn from her. Her fine turned focus on intelligent sequencing and alignment also keeps her constantly learning and sharing what she learns in the yoga room. She will take you through a series of intensive classes throughout the training that will focus on specific energetic and physical areas. You can expect the specific posture breakdowns to the fun intelligent sequencing, theming and music breakdown portions of the training to be dynamic and interactive with Chantal. Our studio is right in the heart of De Waterkant, next to the Old Cape Quarter on Waterkant Street. We are dedicated to promoting expanded consciousness, healing and growth in individuals from the global community. We do this by offering transformative yoga classes in a supportive and professional space that are fun, physically challenging, and contemplative.